Last weekend, Human Drizzle took a trip to a rain-swept Manchester to experience the 2014 edition of the world famous Warehouse Project. 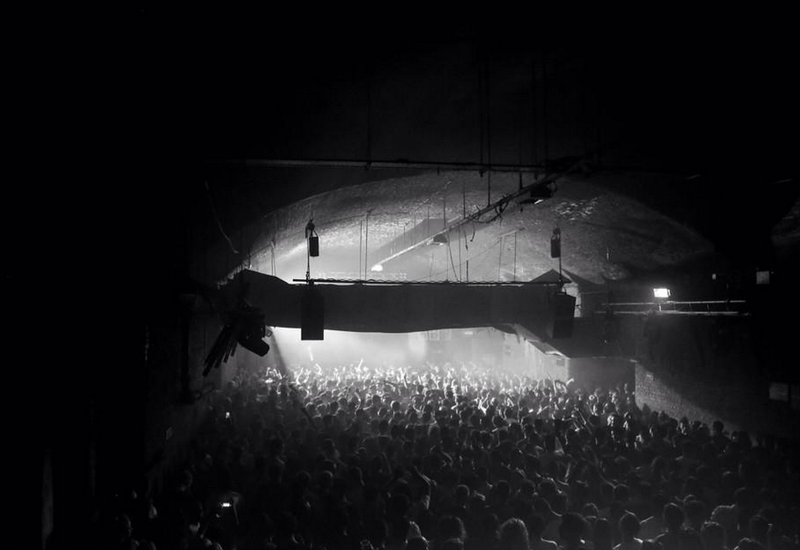 This year the Warehouse Project returned to its spiritual home of Store Street for the first time since 2011. A series of arches that once comprised an old air raid shelter underneath Manchester Piccadilly train station, this is a venue that the promoters know well, and it shows in the organisation of the night. One minor complaint about WhP is the insistence that you have to be in the club by 10:30pm at the absolute latest. It’s unclear whether this is to increase bar sales, to catch out those people with poor time management skills, or to reduce numbers inside – but it feels like an overly authoritarian move. However, this is the only real complaint we could have about the organisation. The sound in both rooms is crisp, the venue isn’t too full (as it was at the Victoria Warehouse when we last came in 2012) and it’s easy enough to move around, get a drink and find a seat in the whatever-people-are-calling-the-chill-out-area-nowadays room. Most importantly, we were able to do our thang on the floor without having our style cramped by anything other than our own diminishing manoeuvrability. Onto the music. We arrived to Drop The Mustard laying down Sasha’s massive remix of London Grammar ‘Hey Now’, a slightly lighter than expected start to a night that featured Subb-an, Paul Woolford, Catz N’ Dogz, Midland and Laurent Garnier, all of whom were lead by the ever enthusiastic Eats Everything. 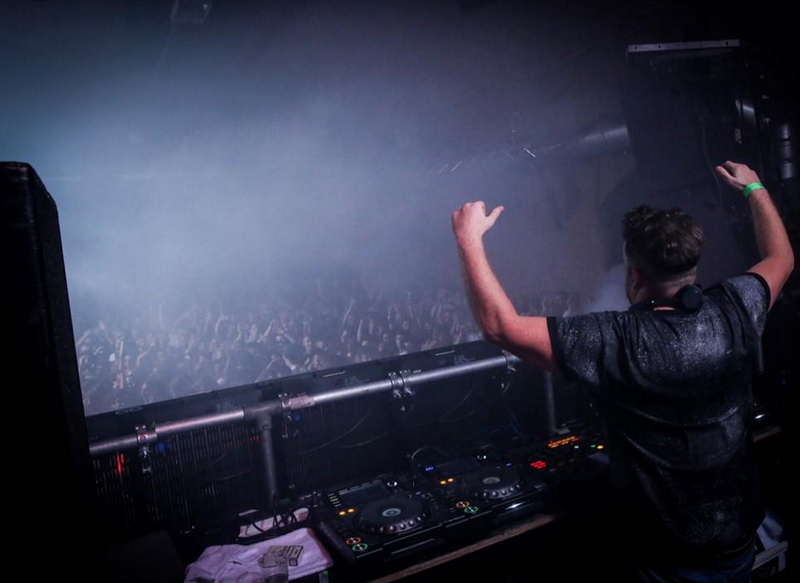 Soon, the man the punters came to see took to the decks in Room 1 – Eats Everything displaying his usual carefree abandon and willingness to interact with the crowd. It wasn’t long before he was delighting a now fully charged up dance floor by hammering into 90s classic B.B.E ‘Seven Days And One Week’. It was a shame that Laurent Garnier and Midland played at the same time, such fans are we of both of their abilities. Laurent Garnier’s Essential Mix from earlier this year is top – a full 20 years after his first session for Radio1?! – whilst regular readers of HD will know how highly we talk of Midland. Midland rounded off what was a brilliant night by calling on one of the big tracks of the Ibizan summer; the ‘Re-Plant’ of ‘Never Grow Old’ by Floorplan which rocked the White Isle throughout 2014. By that point, HD was well past its bedtime and we collected ourselves and headed out, ears ringing, into the North Western night. It’ll be interesting to see where the Warehouse Project goes next. They’ll be celebrating their 10th birthday next year – not a party that you want to overlook in a hurry – and you hope that they are given the support they deserve to properly laud what has become a Mancunian, if not national, clubbing institution.